Every hunting trip takes time and effort to set up, not to mention the time spent actually sitting in the blind. 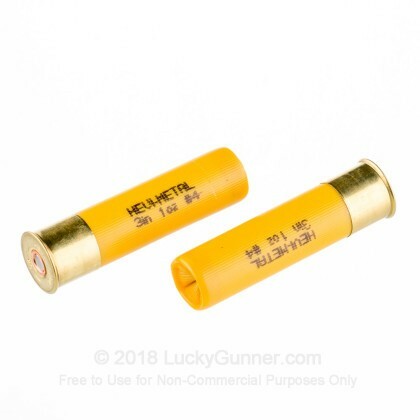 When you invest in a hunt, you don’t want to come home emptyhanded; that’s why you need Hevi-Shot’s 20 gauge Hevi-Metal shotshell. 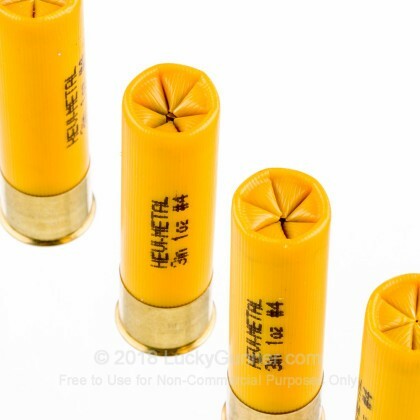 Every 3” shotshell comes loaded with 1 oz. 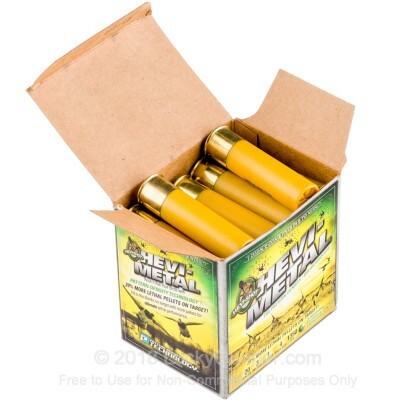 of #4 steel shot mixed with proprietary Hevi-Shot pellets that are half the size of the steel pellets. This shot mix combined with Hevi-Shot Pattern Density Technology gives you a tight pattern that puts 20% more pellets on target at a range of 40 yards. 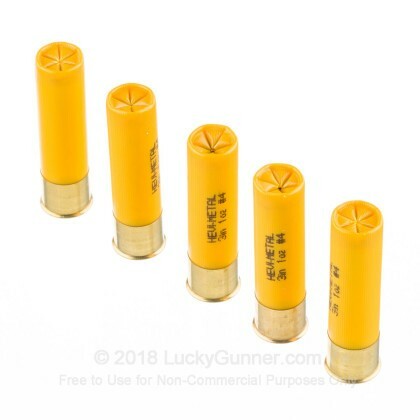 These shotshells are entirely lead-free, so they’re perfect for use when hunting in areas with tight environmental restrictions on lead shot. Hevi-Shot specializes in high-end shotgun loads that use innovative materials and design to perform head and shoulders above the competition. Their innovations include Heavier Than Lead pellets, irregular pellet shapes with extra aerodynamic properties, non-deforming pellets, Dead Coyote varmint loads, and more. If you’re looking for the perfect combination of performance and value, look no further than Hevi-Shot. 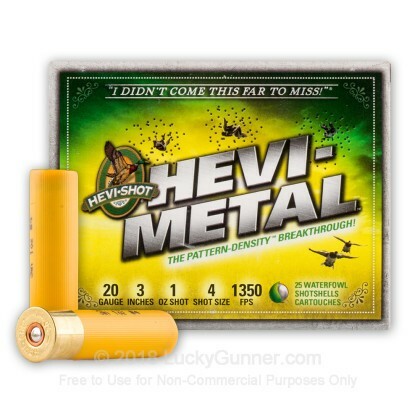 We don't have any reviews yet for this particular 20 Gauge ammo from Hevi-Shot. 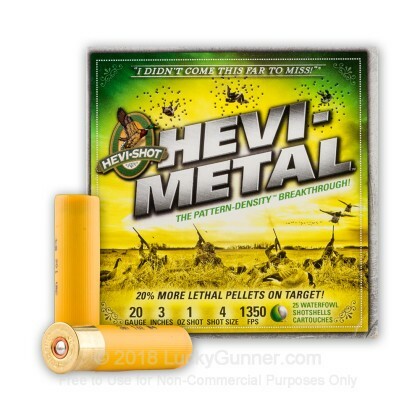 If you'd like to be the first to review this particular 20 Gauge ammo from Hevi-Shot, fill out the form below. Please click here for our current in stock specials on 20 Gauge!